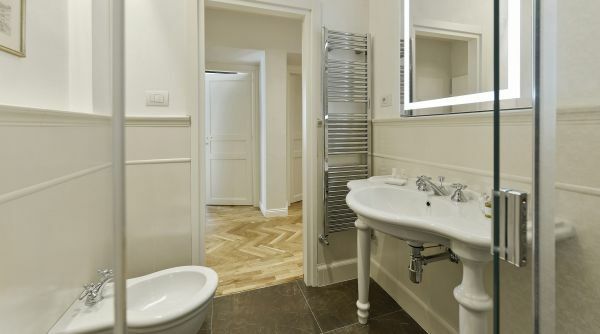 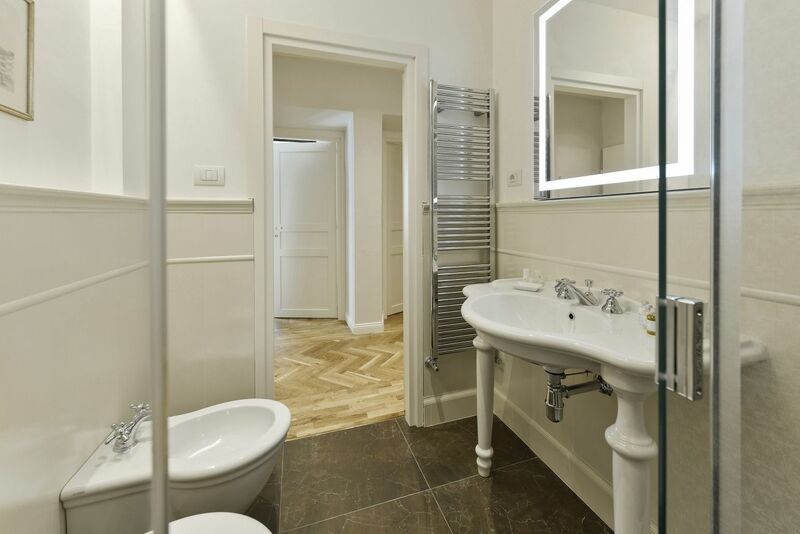 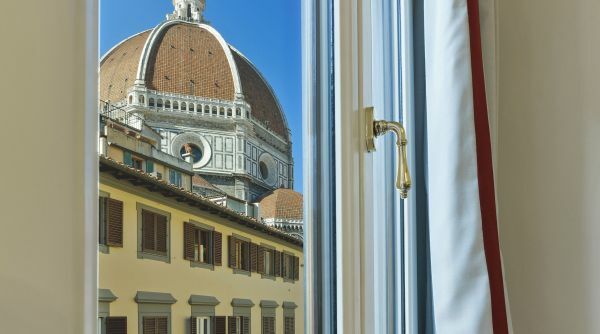 In Duomo is the ideal apartment for a couple, a family or a group of friends looking for a comfortable and unique location in the heart of Florence. 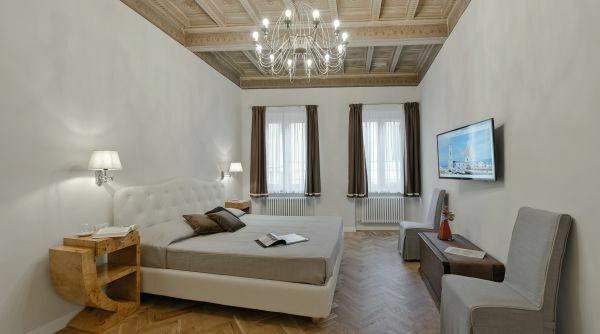 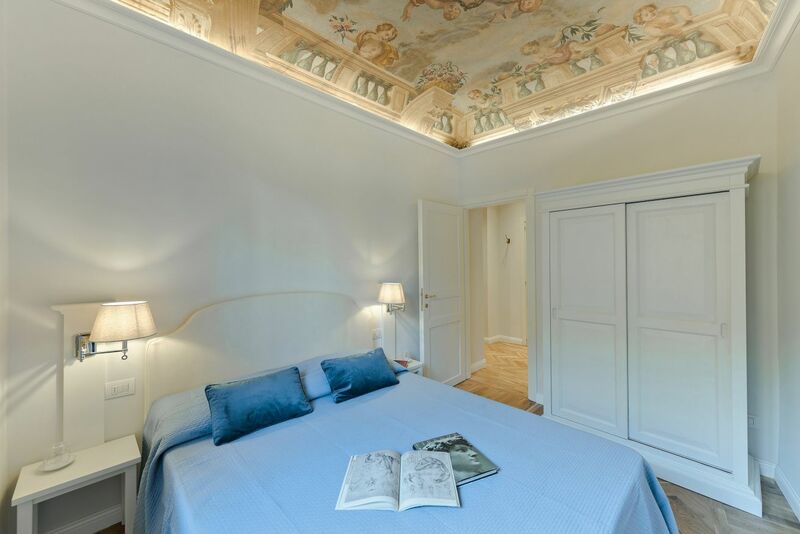 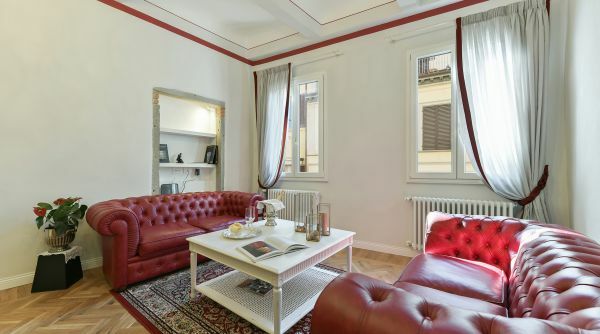 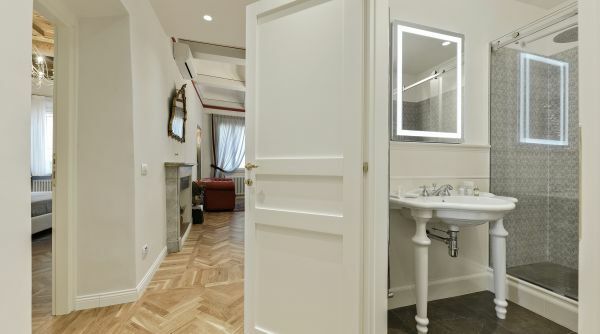 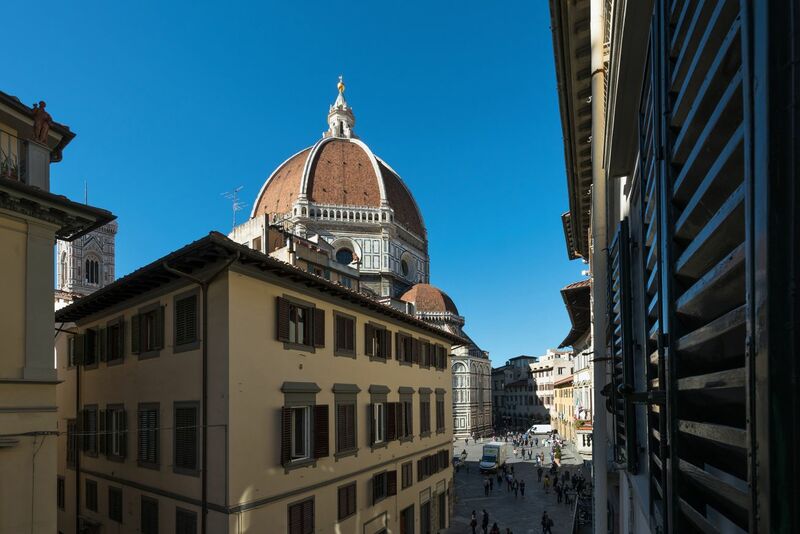 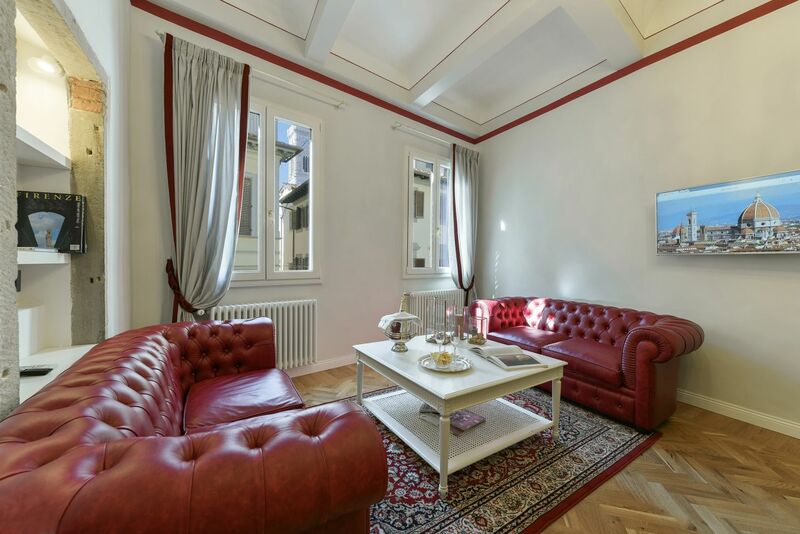 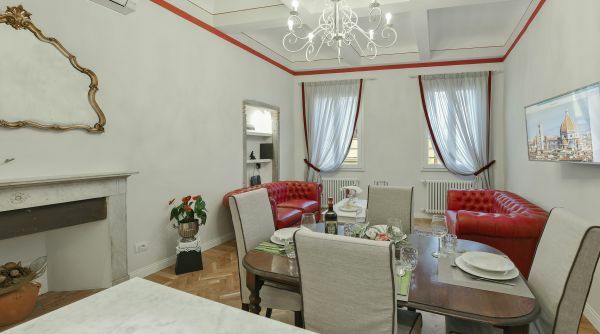 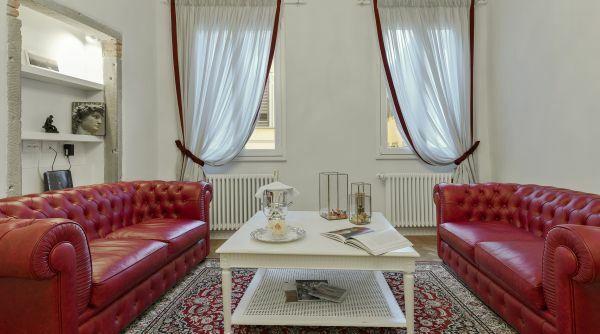 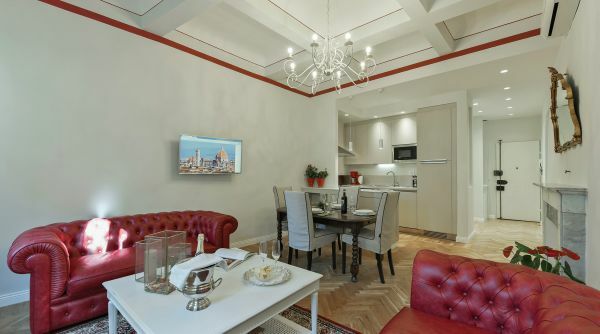 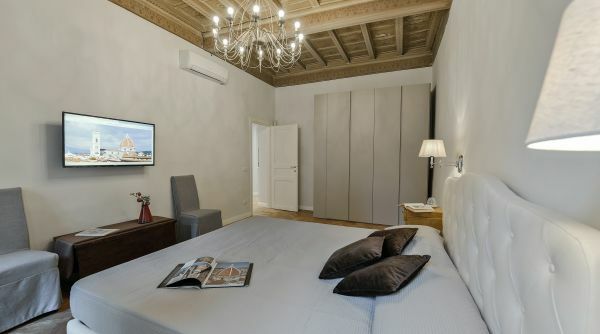 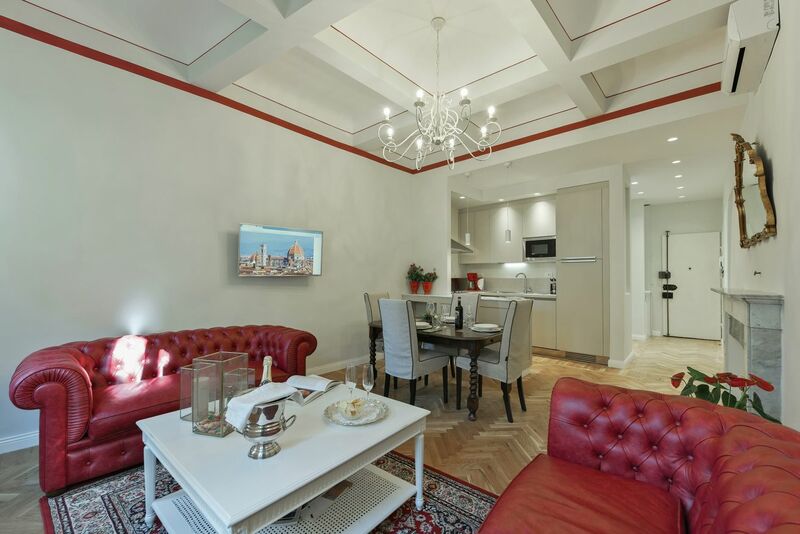 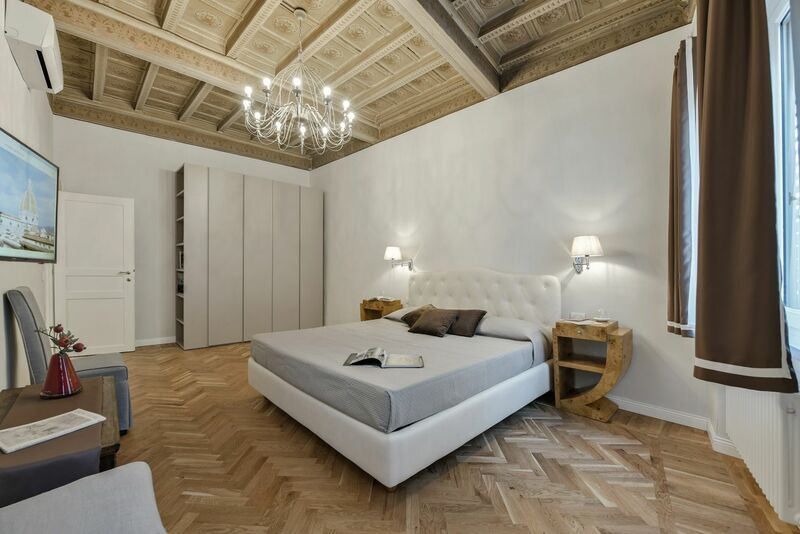 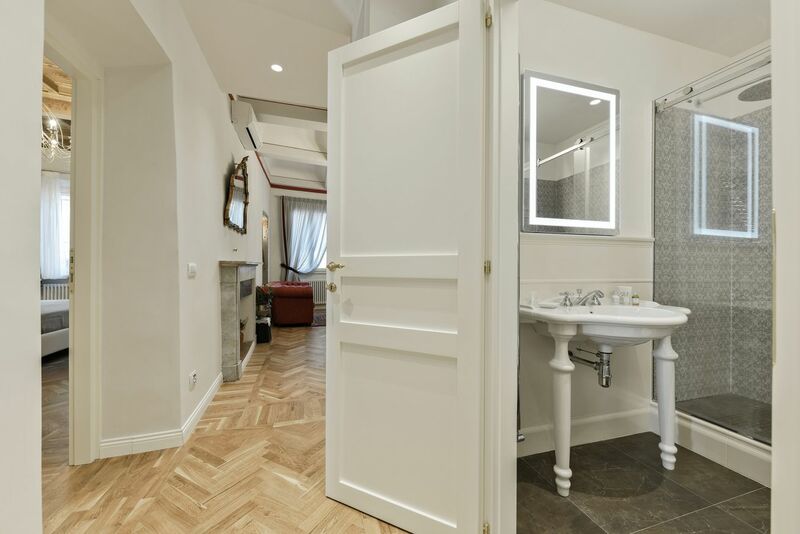 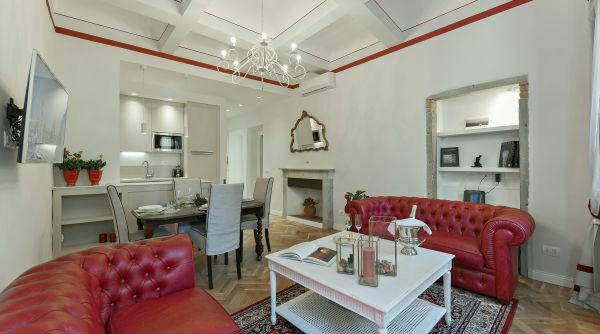 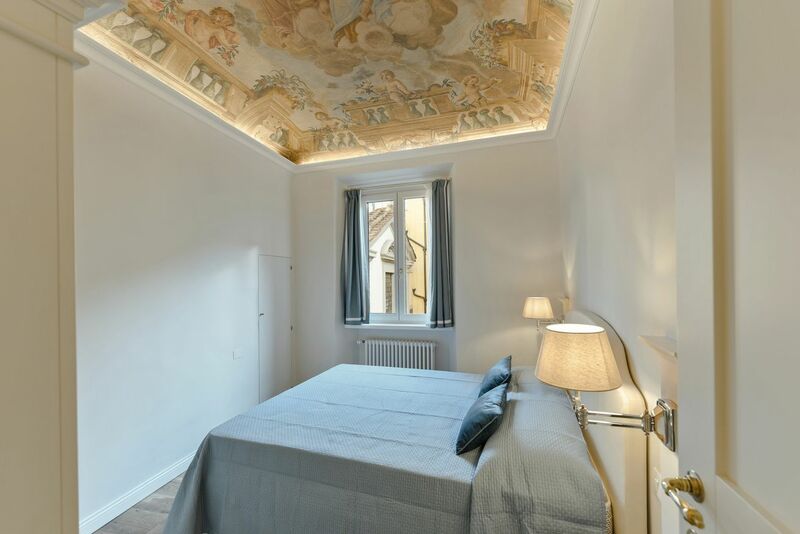 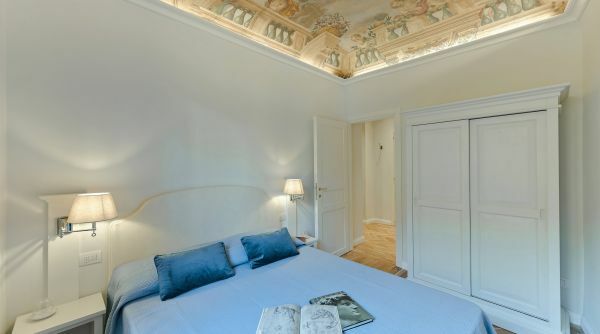 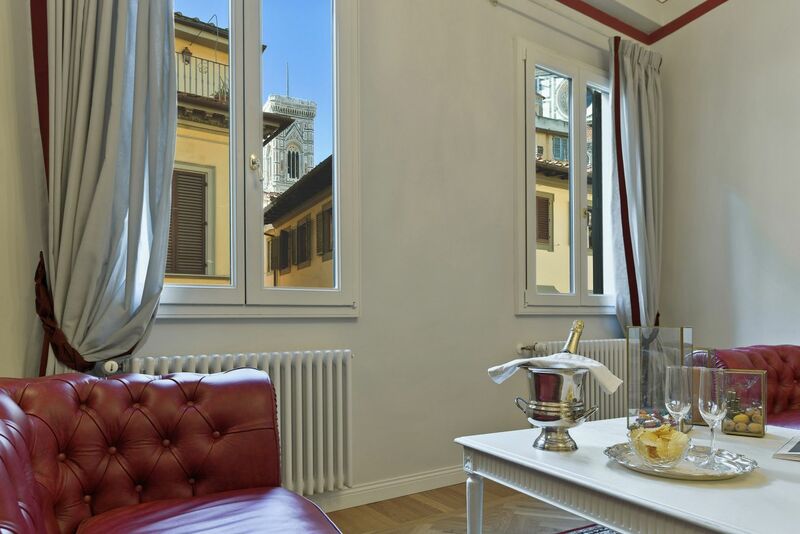 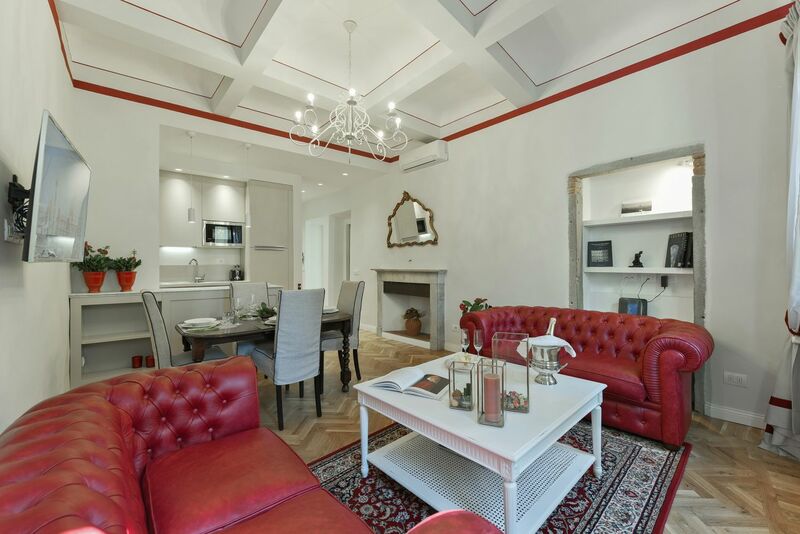 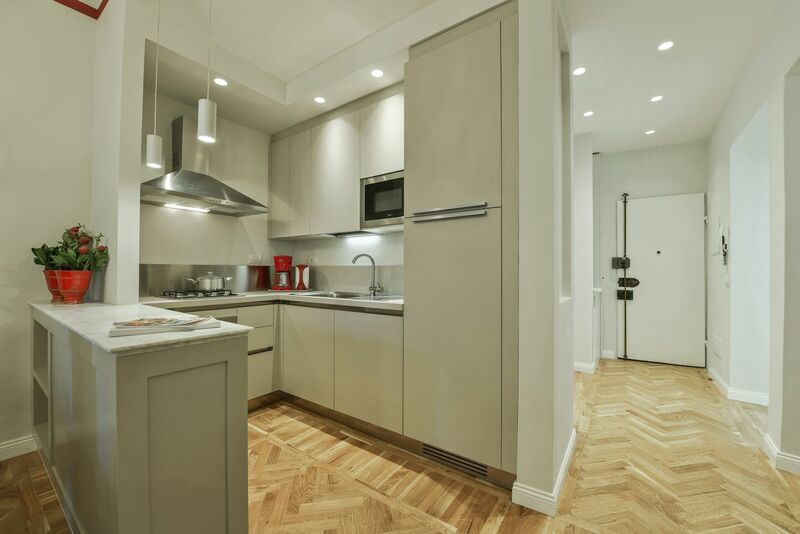 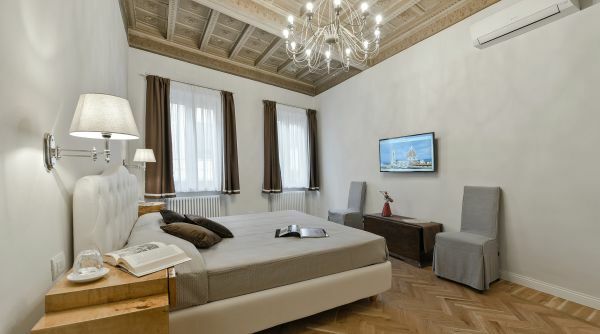 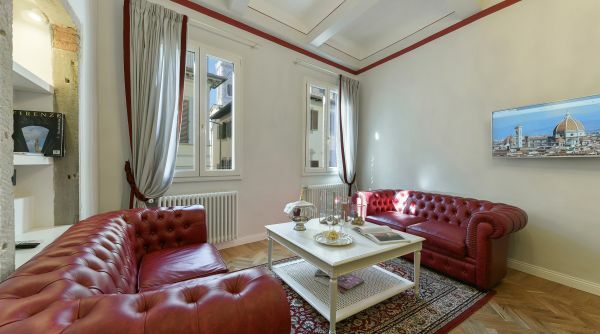 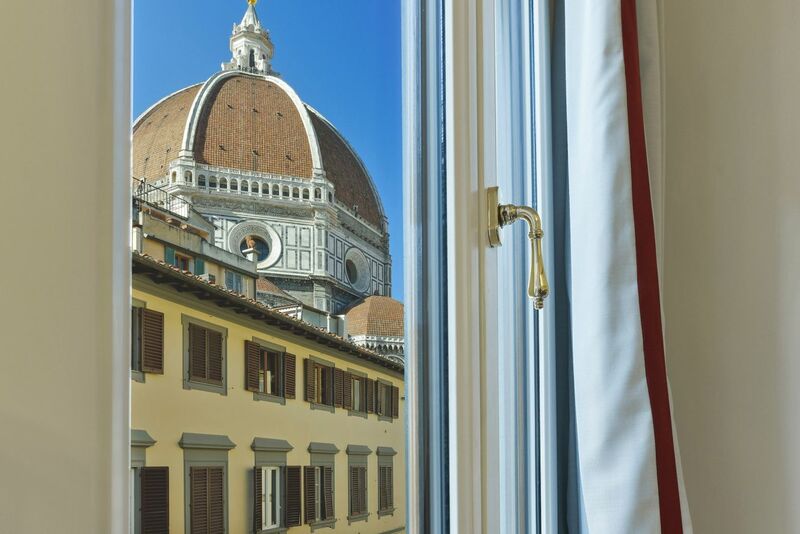 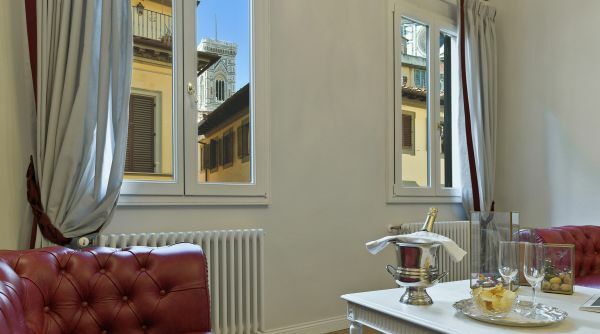 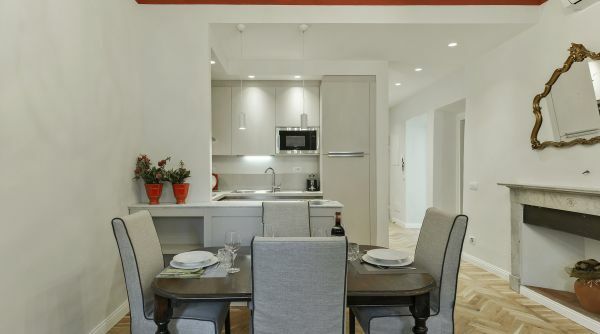 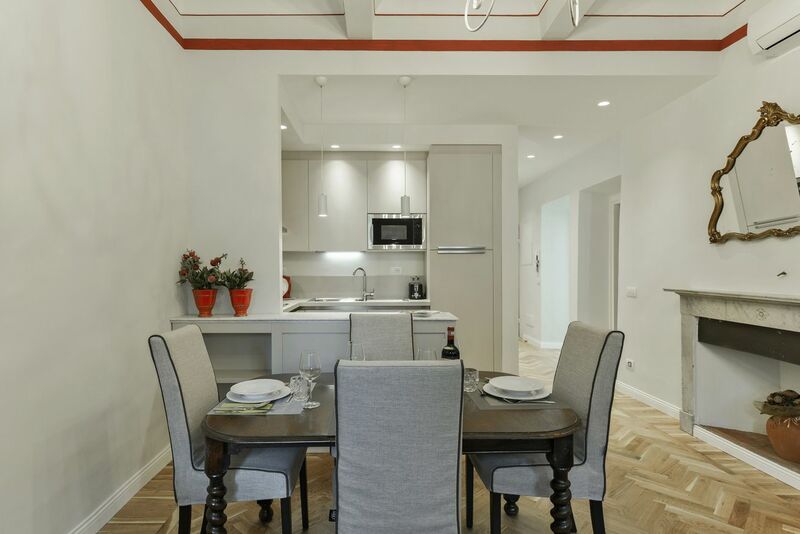 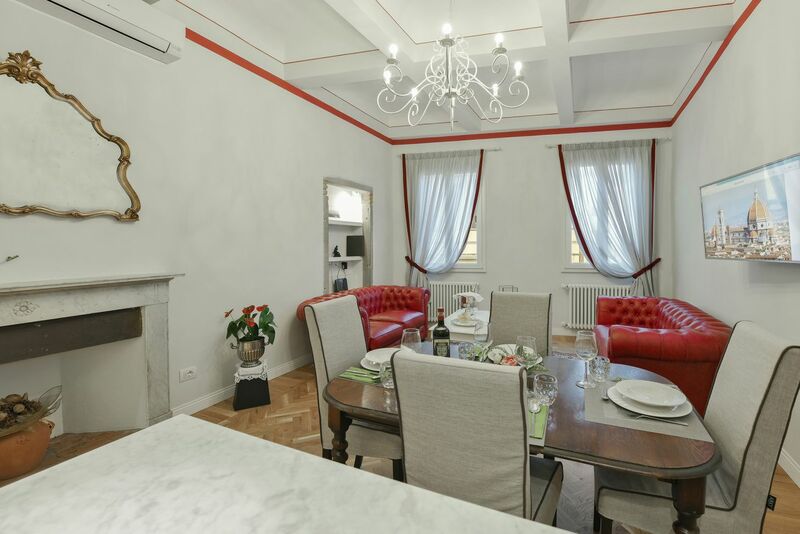 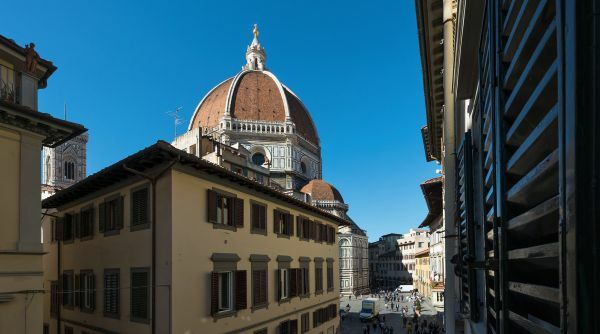 Located literally one step from Piazza Duomo, it is on a second floor and features a great panoramic view of Brunelleschi Dome and Giotto's Campanile. 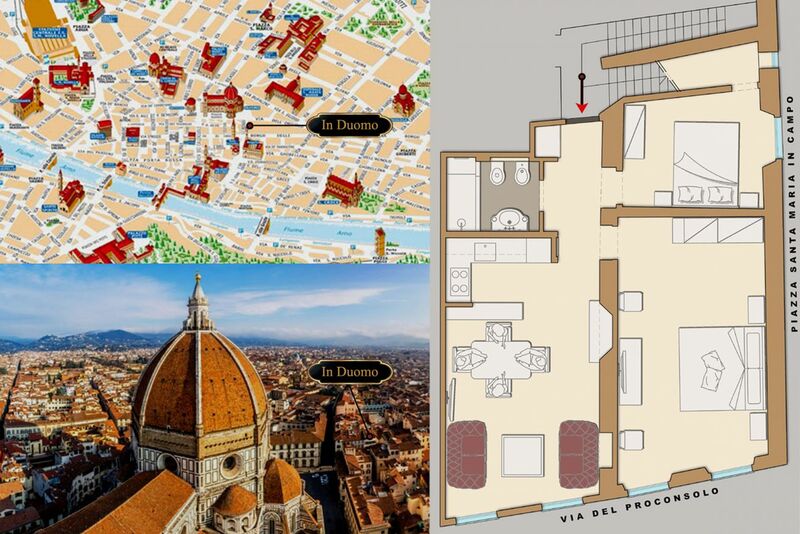 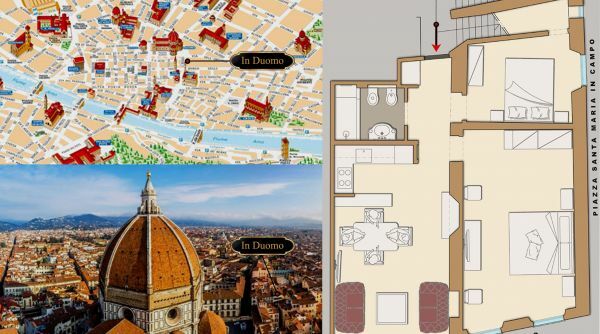 This location is undoubtedly one of the most strategic in Florence, allowing you to reach all the main monuments and museums of the city in just a couple minutes: Duomo, Uffizi, Palazzo Vecchio, Piazza della Repubblica, Ponte Vecchio, Palazzo Strozzi, Museo del Bargello, Santa Croce and Galleria dell 'Academy. 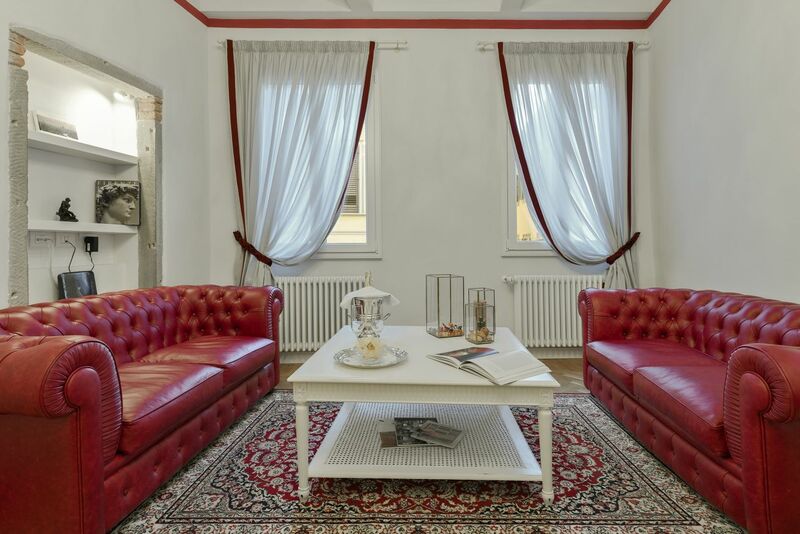 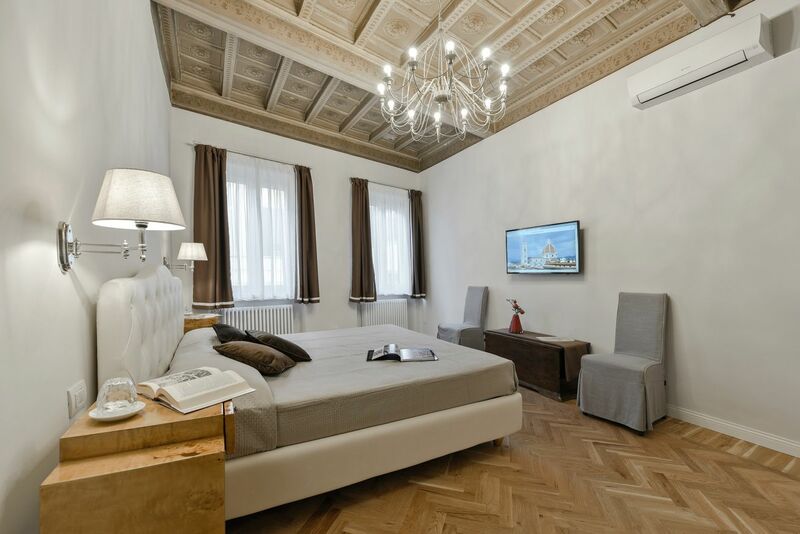 The apartment, recently renovated with care and elegance, is equipped with all the comforts of a real home. 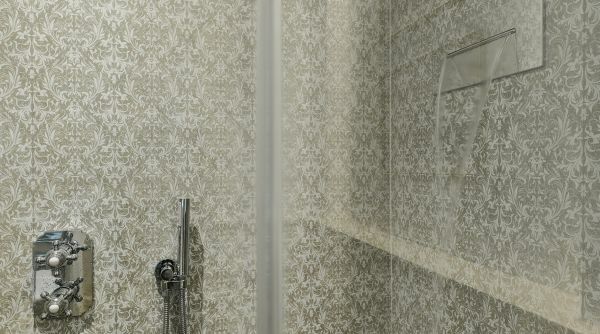 There is a reliable Fibre options wifi connection throughout the house. 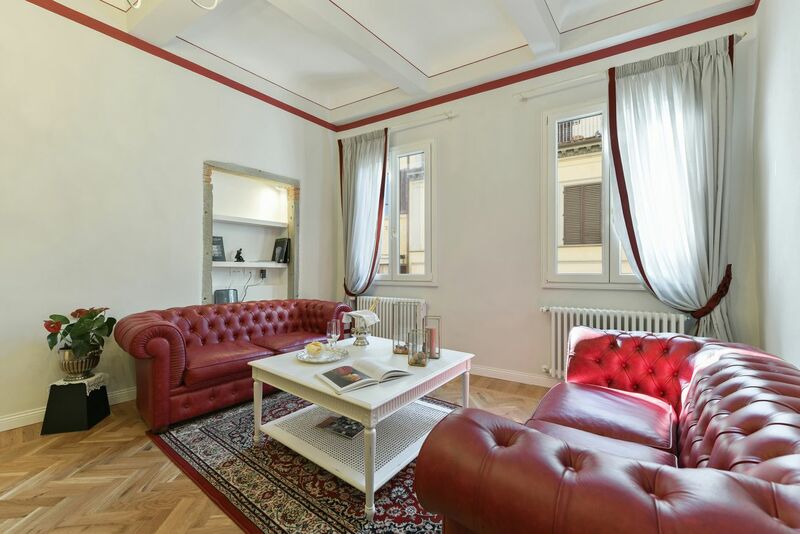 The living area, equipped with AC, is furnished with two chester sofas, a dining table for 4/6 people, a TV and a snack bar. 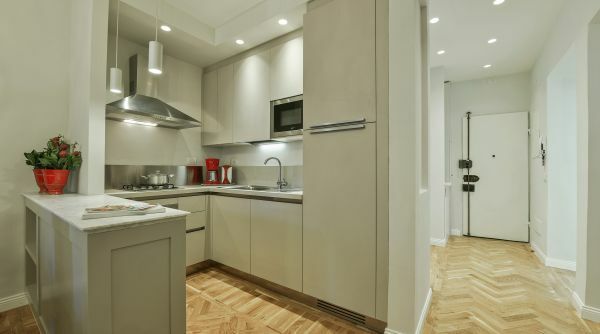 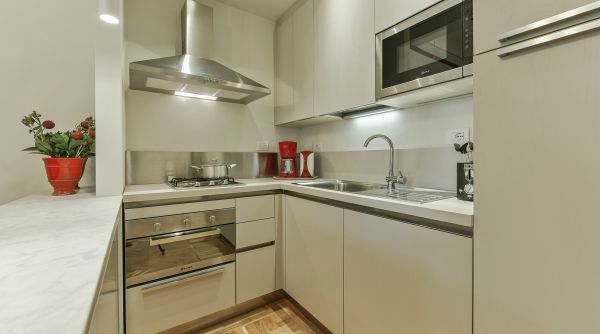 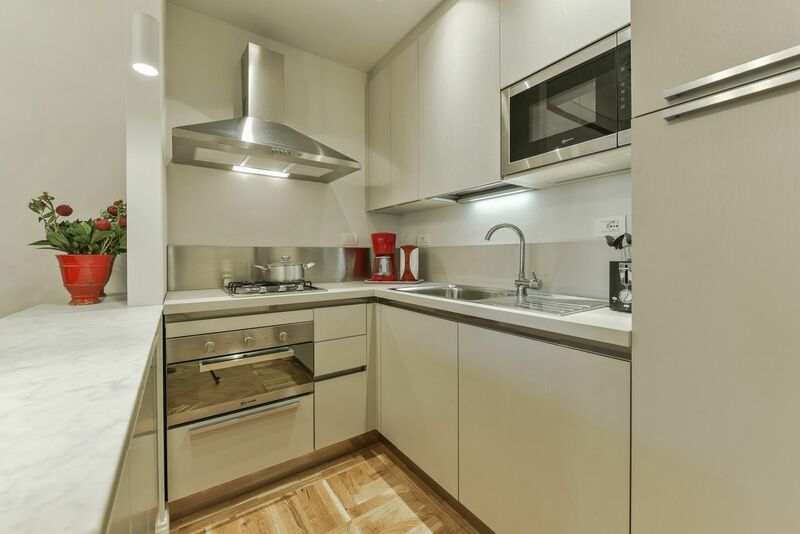 The fully equipped kitchen corner has everything you need to cook your favorite dishes even on vacation. 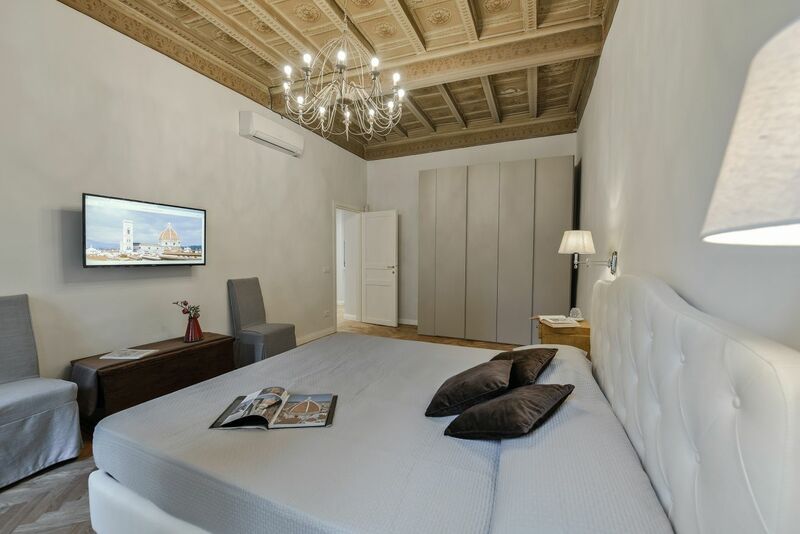 The large and spacious master bedroom, with decorated high ceilings, features a comfortable double size bed, a spacious wardrobe, AC and TV. 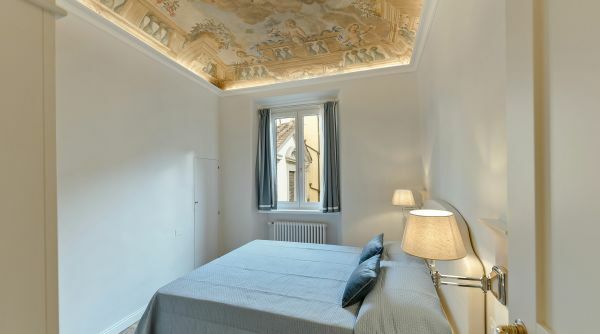 The second bedroom, which also has a double bed, a wardrobe and a remote control fan, features the most important mark of the house from a historical / artistic point of view. 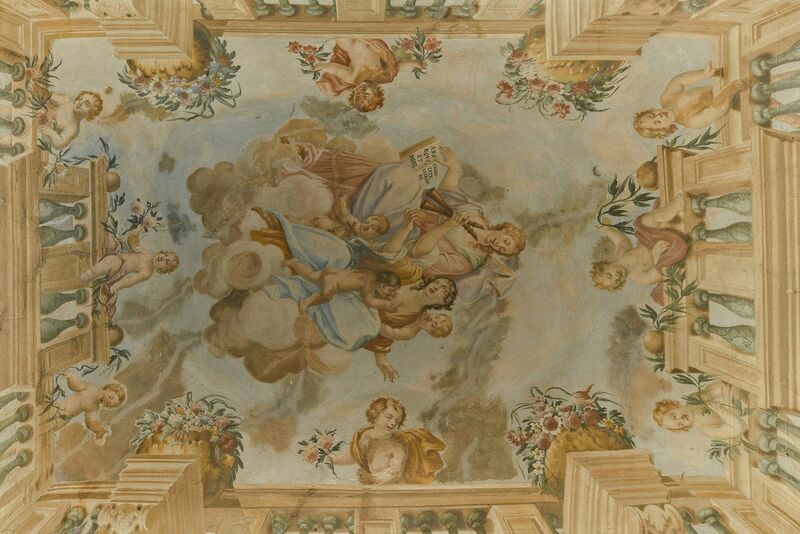 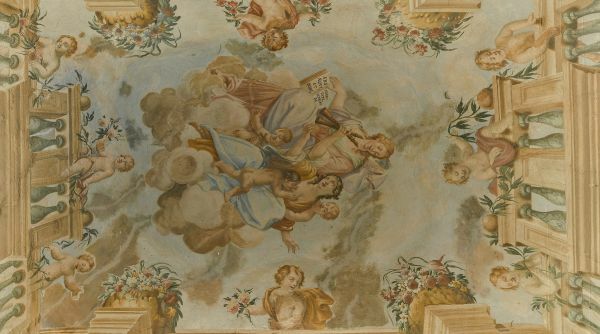 The ceiling is completely covered with an original fresco attributed to the school of Florentine painters of the 1700s. 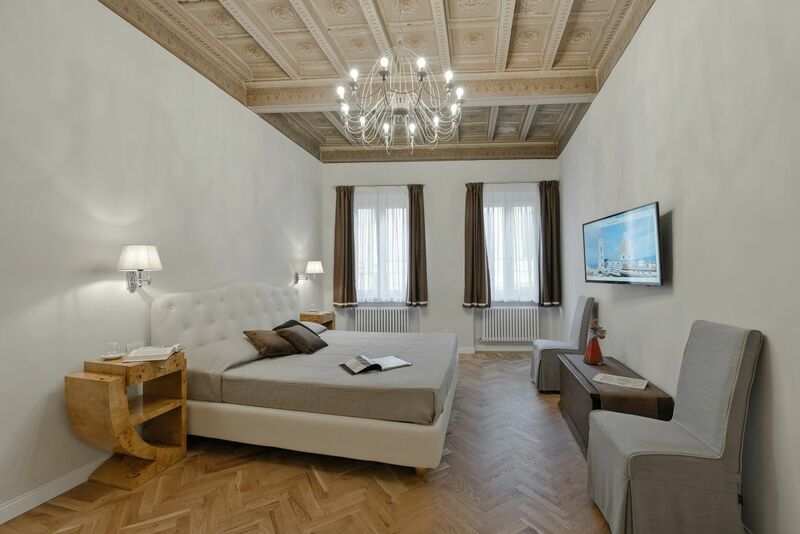 All the mattresses and pillows of the rooms have been chosen with great care in order to guarantee the maximum comfort of the guests. 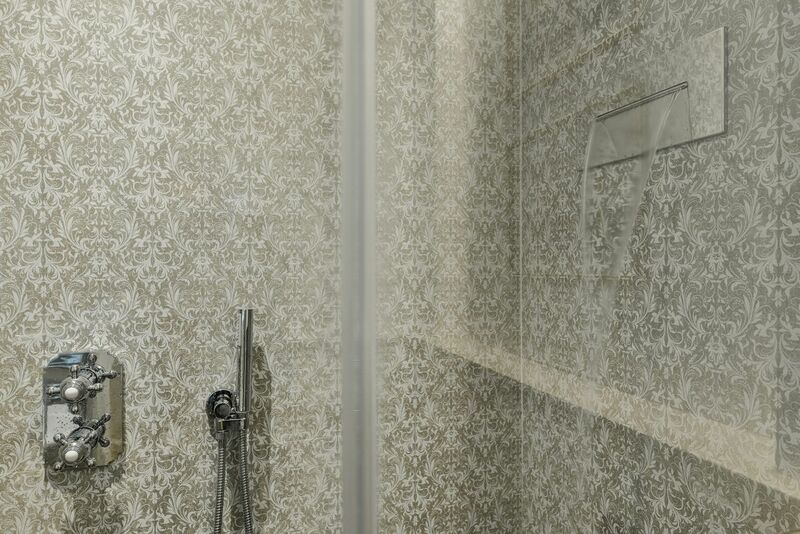 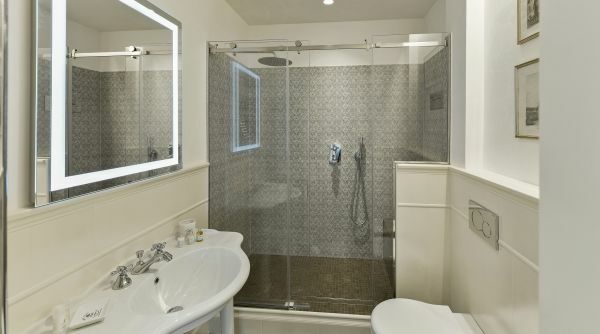 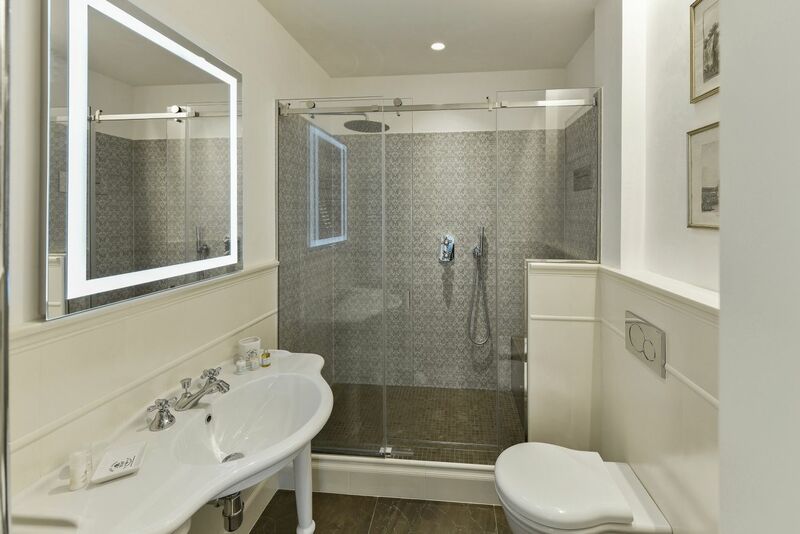 The classic, elegant bathroom features a large shower enclosure with an internal seat and waterfall for cervical massage.